High Stakes Wrestling » Pay Per View » Winter Survival 2017 » Where Were You? The scene is a snow covered field where only one thing is moving. A large snake. It slithers across the ground, leaving a small trail in the snow. It seems to notice the camera, turning it’s head toward it, it’s tongue lashing the air. It makes a line straight for the camera where it lunges forward with it’s fangs out. At the last second a shovel made of ice pierces it’s head, sending the head rolling away as the body wiggles and then fall limp. The remains of the snake seems to melt away into the snow as the camera pulls back to reveal Mizore. She is wearing one of White Tiger’s robes. It is black and white striped with furry white trim. Mizore tosses aside the ice covered shovel, smiling at the camera. I’ve said from the beginning that all Paragon is is nothing more than a snake. A creature hidden in the shadows waiting to strike. But you know, I can’t totally knock them. They say what they are going to do and they do what it takes to get the job done. And all of them are ready and willing to fight. Well almost all of them. The theme of the night is: Where were you? James Ceno was first to come at me. He gave it all he had to try and prove I wasn’t worthy to face Jack. But at the end of the night, I beat him in the middle of the ring. Where were you Jack? As your first soldier feel to my feet, where were you? Mizore turns her head to the camera, looking at it questionably. She smirks slightly. Then it was the boss herself. The great Christy Chaos. A multi time World champion, defending the honor of Paragon. The real leader stepping into battle. And despite the fact that she showed no sign of rust or age, I beat her. In the middle of the ring. And while I was celebrating over your business partner and your co manager of Paragon, the question remains: Where were you? Where were you to teach me a lesson? To show me that Jack Michaels is still the man to beat in HSW? You were nowhere to be seen for yet another show. Some champion. Mizore shakes her head. She walks around the snow, barely leaving a trail as her father’s long robe brushes the snow behind her. And then last week. All hell was about to break loose. On one side was yours truly, leading the forces of Maya, mom, dad, Eli, Kris and Kelsi. On the other side was Christy Chaos, again being the true leader of Paragon as she led Amber, Leon and James to battle. Paragon was out numbered. For once the group was about to be on the wrong end of a group assault. And again: Where we you Jack? Why didn’t you come out to help your friends and partners? The answer to all these questions is the same: You just don’t care. All your talk about Paragon and the fact remains, you don’t care about any of them. You just care about yourself. And holding on to the little legacy you have left. Mizore stops walking and focuses fully on the camera. She crosses her arms in front of her. You know Jack when you won the title from me, I was disappointed. No one wants to be defeated for the title just a few weeks after winning it. But I thought that you’d be a fighting champion. That you’d show the wrestling world that you still had it. And maybe you have done that in other places. But you have done nothing for High Stakes Wrestling. You have done nothing for the Paragon that is here. You are the real disgrace to that title Jack. It needs to be held by a fighting champion. Someone who is going to show up every show and give the fans what they want. It’s funny how now the shoe is on the other foot. Because I’m the one who can lead the new generation. I am the true face of HSW even before I get my title back. And all that can be asked of you is: Where were you? Mizore runs her finger around the neck of the robe. It’s a bit hotter than what she is use to. Just a little bit longer. Last time we faced off, you wanted to save the title from me. You wanted to show me that I wasn’t ready yet to be the champion. Now it’s your turn to be taught. I’ll use my newfound talent and abilities to defeat you. Because you don’t deserve to be the champion. You don’t deserve to have your face plastered on the banners and posters. Because a true champion gives everything they have to the company. A new champion goes out every night and proves their worth. They don’t sit around at home and not even make appearances. You haven’t been here for your fans. I’ll show you what it takes to be a champion Jack. And I’ll finally take back what is mine. I’m not the same innocent little girl I was several months ago. I’m a whole new person now Jack. A Yuki-Onna. A true snow monster. Mizore pulls off the robe and tosses it behind her. She is wearing long tights that look like they are made of ice shards, her name spelled out in light blue lettering on each leg. She is wearing a tube top shirt of the same design, this one says: Frost Elite. Mizore does a slow spin so she can show off her new threads. Granted it’s not as unique as my old attire, but it does move and breath a lot better. This is just one of many changes I have in store for you. I want you to remember something Jack, you started this war. You drew the line in the sand. And I’m finally ready to step over it, and face you one more time. While she said this, she drew a line in the sand, casually stepping over it. HSW is my home turf. Winter Survival will pretty much be in my backyard. What you are facing now Jack is a perfect combination. Not only the skills of my father but now the aggression of my mother. The best of both worlds as it was. I really hope you have done your homework old man, cause this will not be simple for you. I will not hold back. I will not show you compassion if you get hurt. I will not show you mercy when you are down. I won’t stop coming until I defeat you. Until I bring the HSW World title home where it belongs. And after The Frost Elite get the tag titles from Leon and Amber, it will mark the end of Paragon. You can go raid all the other places you want. You can try and force your will across the globe. But in your house Jack, in the house the Michaels built in Las Vegas Nevada, you are not welcome. This is my home now. This is the home of everyone who defied Paragon. This is now the house that Mizore built. Hope you found your eviction notice. Mizore turns around and waves her hand as a replica of the Mean Machine School of Wrestling made out of ice grows from the ground. Mizore looks it over happily, before turning back to the camera. Consider Winter Survival as your last night at home. As your curtain call. For the last few months, I have been cutting the snake into pieces. I’m about to cut off the head, killing the snake once and for all. It’s over for you Jack. It might have been a blast but after Winter Survival, you will just be another poor soul, trapped deep under the ice. Mizore turns around and picks up WT’s robe. She tosses it over her shoulder walking back into the ice version of MMSW. The sign melts away to reveal Mizore’s Marvelous School of Wrestling. It stays on the new sign for a few moments before fading away. The scene opens up deep in the basement at the Houlihan Orphanage that is ran by Android Eighteen in St. Cloud Minnesota. Mizore is in the ring, warming up. She is wearing her plaid skirt over her purple striped socks and white jacket with the dark blue sleeves. On the floor this time around is Kelsi Parr, not looking real thrilled about being there. Mizore bounces off the ropes a few times as Kelsi speaks. So this is your last day of training with Eighteen? Mizore stops running the ropes, walking to the edge and looking out at Kelsi. That’s what mom said. Since the match is only about two weeks away, there’s no real point in me training any longer. I’m just a little worried about what she might have in store for the final showdown so to speak. Eighteen comes down the steps, causing them to stop talking. She walks up to the ring, looking at Kelsi for a moment before looking toward her daughter. She wanted to get in some of her own training from James. Plus I think she is a little leery of getting anywhere near a ring with you after the last time around. All I did was dislocate her shoulder. I came from an era where they’d break your arm to see if you’d come back for more. Kids these days. Kelsi actually gives a small chuckle to this she quickly hides. Eighteen looks at Kelsi with a smirk and motions towards the ring. Well much like I told Maya if you want to be here you have to help out. Get in the ring. I know you aren’t facing Mizore. You are the referee. I’ll be fighting my daughter for her graduation. Both girls look shocked as Eighteen takes off her vest and skirt to reveal a black unitard. She climbs into the ring as Mizore takes a step back. Kelsi reluctantly gets into the ring. I don’t understand mom. What is this going to accomplish? You need to show me that you are ready for Jack. That you will do whatever it takes to win the match. You will leave nothing in the back in your quest to win back the championship. That’s why this match will be no DQ and no count outs. 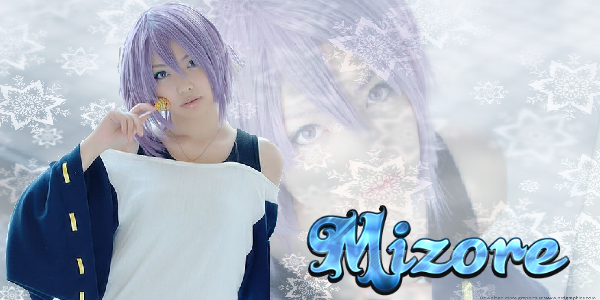 Let’s go Mizore. Eighteen walks to the center of the ring and crosses her arms in front of her. Mizore seems confused on what Eighteen wants from her. She finally walks forward and locks up with Eighteen. Eighteen pushes her back, causing her to roll backwards. Mizore jumps to her feet and rushes at Eighteen who catches her with a punch to her side, much like Jack did at Summer Breakdown. Mizore struggles back, coughing hard as Eighteen chuckles. Like trying to teach a blind monkey to play piano. Have you learned nothing yet? Eighteen walks up to Mizore who kicks her in the gut. Mizore bounces off the far rope and Eighteen catches her with a thunderous spinebuster. She grabs Mizore’s legs for her Eighteen Points of Pain but Mizore kicks her back. Mizore pops to her feet and doubles up her fist. She swings at Eighteen but pulls back last second. Eighteen doesn't pull back as she delivers a hard shot to Mizore’s gut. Before Mizore can go down, Eighteen catches her under her chin, holding her up. Jack’s going to beat you kid. You just don’t have it in you do you? Pity. Mizore pushes Eighteen’s hand away and tries for a quick Cold Shoulder but Eighteen easily pushes her away. Eighteen grabs her and sends her to the ropes, but Mizore flips off of them, dropping Eighteen with Maya’s Green No More! She jumps on the pin but a surprised Kelsi is barely down on the ground when Eighteen kicks out. Mizore pulls Eighteen up and sends her into the ropes, going for a dropkick. Too bad for her Eighteen hooked the ropes, causing Mizore to crash and burn. Eighteen picks her up and sends her into a corner. She walks in and delivers a few hard shoulder thrusts to Mizore. She takes a step back, shaking her head. She goes for a headshot but Mizore blocks it and actually hits Eighteen in the head with a closed fist. Eighteen answers back with a punch that staggers Mizore. Mizore answers back with an even harder punch that staggers Eighteen. Mizore looks shocked at what she did but Eighteen just chuckles, her punch knocking Mizore down to a knee. Mizore pops back to her feet and hits Eighteen hard enough to drop Eighteen to a knee. She grabs Eighteen’s head and DDTs her. She drops on the pin but Eighteen kicks out at two. Mizore grabs her leg and starts for the Snow Bound but Eighteen kicks her away, causing her to fall out of the ring and to the floor. Eighteen slowly gets to her feet, wiping a little blood from the corner of her mouth. That’s more like it kid. Now get back in here and show me what you got. But first. She walks over to the corner and pulls the protective pad off. Kelsi looks like she wants to say something but knows better. Mizore rolls back into the ring. Eighteen kicks her and tries to send her into the exposed corner but Mizore reverses and sends Eighteen in. Eighteen stops herself short but Mizore dropkicks her from behind, sending her chest first into the corner. Eighteen swings at Mizore sho ducks it and gets behind Eighteen. She gives her a belly to back suplex, causing the small of Eighteen’s back to hit the exposed steel ring. Eighteen lets out a rare cry of pain as she drops to the mat, holding her back. Kelsi starts forward to check on her but Mizore holds her hand up, shaking her head. She looks down at Eighteen who is on her gut, still holding her back. You don’t think I remember what Jack did to me? The pain and anguish he made me feel. The humiliation? Mizore bounces off the rope and drops a knee right to Eighteen’s back. You don’t think I remember being screwed in our match. That I had him beat and Christy cost me everything. I remember it all mom. Mizore stomps on Eighteen’s back a few times. And you mom. Always putting me down. Always treating me like everything but a daughter. I’m tired of being walked on. And I’m not taking it anymore. You hear me mom. Mizore bounces off the rope again and splashes Eighteen’s back. She rolls Eighteen over and pins her but Eighteen kicks out at two. Mizore straddles Eighteen and hits a flurry of left hands. I will not be looked down on anymore. I will not be treated badly just because I’m a girl. Just because I’m small. You want to see some anger and intensity, you got it. Now stay down. She emphasises the last few word with each hit. She stops punching Eighteen, looking down at her in anger. Eighteen actually smiles and spits blood in Mizore’s face. Mizore punches her again and rolls her onto her stomach, locking on the Snow Bound. She pulls back with all her might as Eighteen just chuckles. Kelsi is checking on her but Eighteen keeps laughing. Finally the laughter stops as Eighteen passes out. Kelsi raises up Eighteen’s arm and watches it drop. She does this a second time to the same result. On the third time, Eighteen’s hand hesitates a second but soon falls limp. Kelsi stands up and happily pats Mizore. That a girl! You beat her. You can let go now. Mizore doesn’t respond, just keeps pulling back on the move. Kelsi’s smile fades. That’s enough Mizore. Let her go. Still no response. Kelsi tries to pry Eighteen free but Mizore has the move locked on tight. Finally Mizore let's go. She stands up and looks down at Eighteen, not showing any real emotion. Kelsi looks at her worried. Mizore is still looking down at Eighteen. Suddenly Kelsi’s and Mizore’s cell phones both go off at the same time. Mizore leaves the ring as Kelsi checks on Eighteen. Mizore looks at her phone and her face drops. She waves to get Kelsi’s attention. It’s Hollie. She needs us in Rawlins asap. Come on, let’s go. Mizore grabs her bag and heads up the steps, followed close behind by Kelsi. In the ring, Eighteen has slowly pulled herself up on the ropes, her face grimacing in pain. She gives a half smile at the steps.